Designed for club and casino applications, the Backend Display is mounted to the plinth at the end of gaming machine rows. This lifts a normally blank space into an active communication zone, allowing you to reach your potential customers at the very moment they are choosing which game to play. The 30 inch LCD screen with active graphics attracts players and can display updated bonus features, jackpots and full motion video. 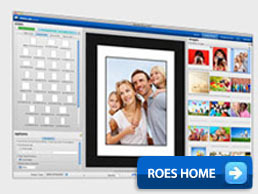 The LCD Backend display system, with simple image changing capability, complimented with Prolab’s professional services for image design and production will create a stunning presentation of your display. 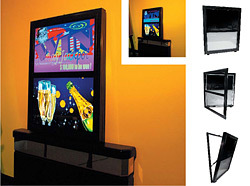 The LCD Freestyler is a free standing, double-sided, edgelit illuminated, multi-media display combining the latest in LCD technology with static edgelit images.The 30 inch LCD screen provides dynamic signage with the freedom to mix a variety of media such as text, graphics and video. 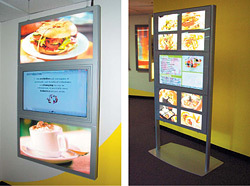 Optional software solutions are available to enable displays to be configured and controlled remotely from a local computer, or at a distance via telecommunication networks.A variety of signal inputs can drive the LCD display, and they include data connection from computer, DVD players, video and many other multimedia devices. 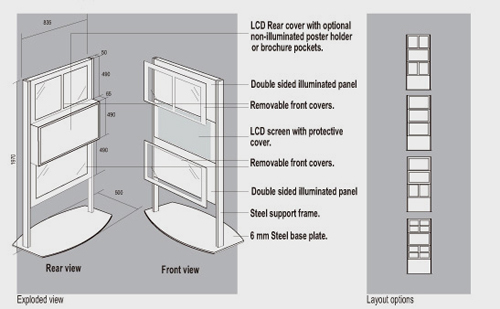 The LCD Freestyler display system, with simple image changing capability, complimented with Prolab’s professional services for image design and production will create a stunning presentation of your display.